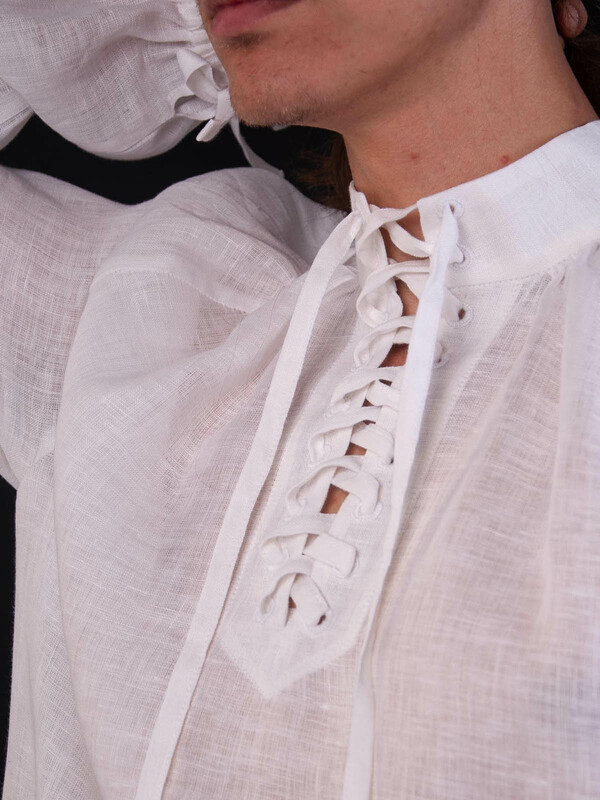 Medieval men's shirt with wide sleeves has lacing on the collar and sleeves. It will be a perfect addition to the medieval mens' braies. 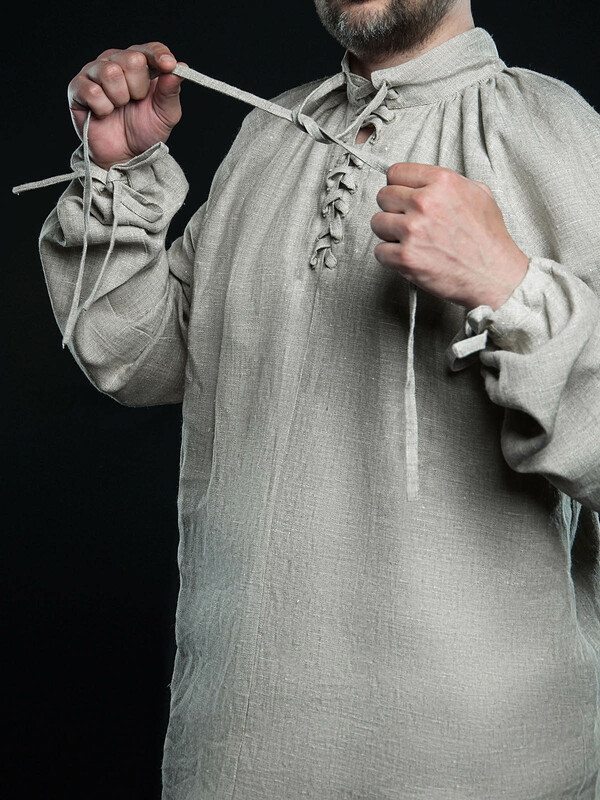 This garb is not historical reconstruction of costume, but stylization of scandinavian outfit of VIII-XII century. 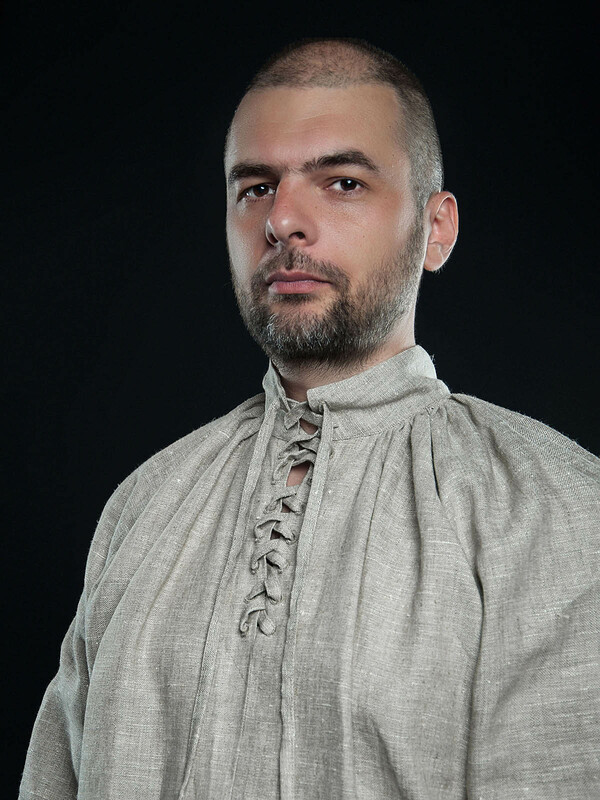 This costume consists of the following parts: -undershirt -tunic -belt Long undershirt has sleeves tight at the wrists and high round neckline. 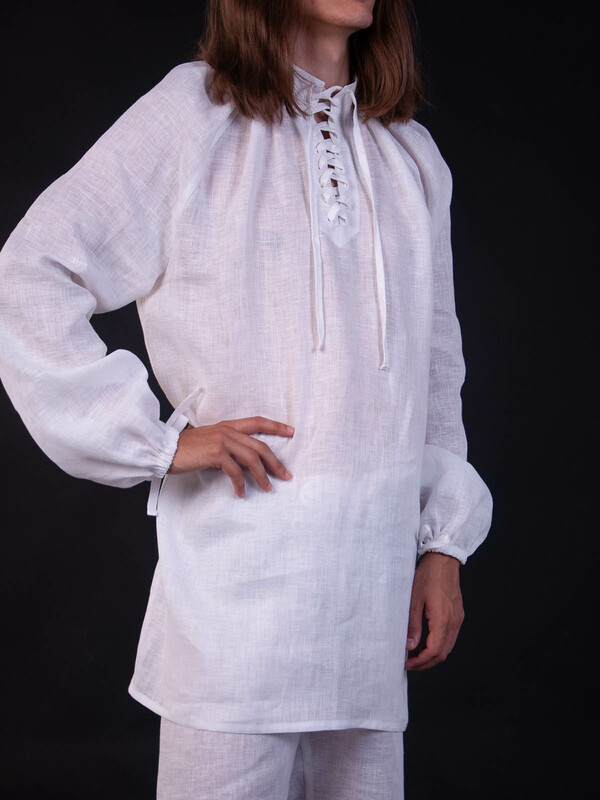 Neckline, sleeves and bottom hem of tunic are decorated with beautiful trim of the same colour and design of belt. Wide round neckline emphasizes your delicacy and femality. There lacing on the sides of sleeves for better fitting. Base price includes undershirt of white colour. 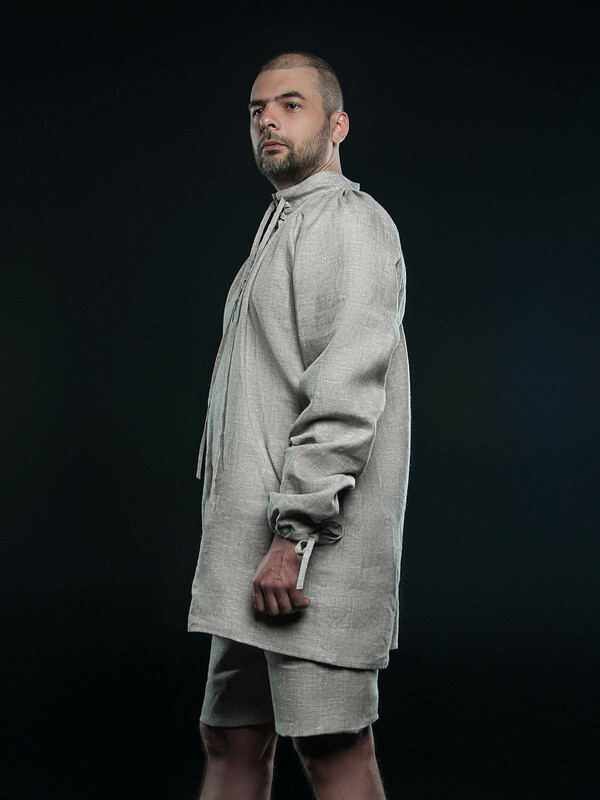 Tunic colour is available for choosing in options. Please send to [email protected] your regards of undershirt' colour. ..
Hobbits are one of the most popular nation in the fantasy world. Worriless and keeping proper hours, they prefer comfortable outfit. Costume for creating hobbit character includes: -linen sleeve-buttons shirt; -short woolen waistcoat with buttons; -short woolen pants (breeches) with drawstring on the waist; -short woolen cloak with hood; All components of the costume can be ordered separately. If you want some part of this outfit made of another material or in other color, please contact us [email protected] ..
Cale was very popular type of headwear, starting from early medieval till the XV century. It is a cap with long hanging strings. Usually, chaperon or hood had been worn over the cale. This cap was used both, poor peasants and rich citizens. 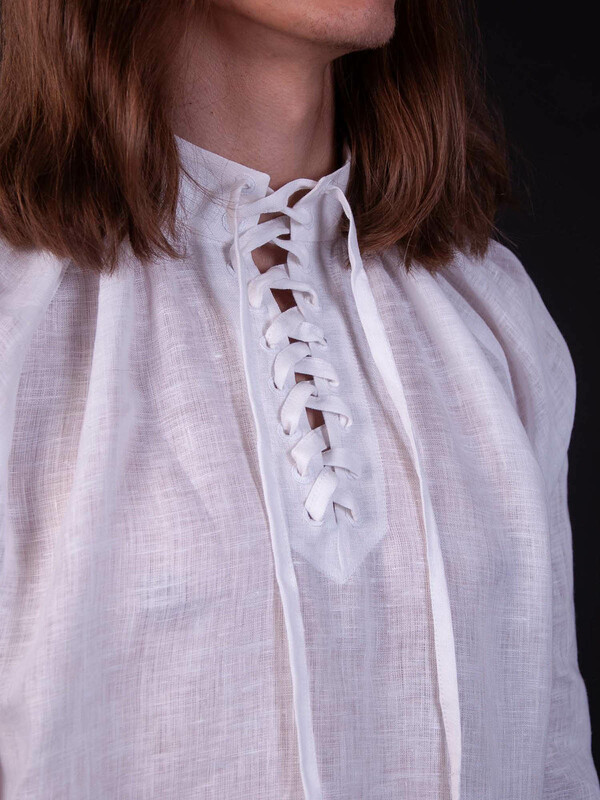 Usually, white linen was used for sewing, but noble people were often wearing cales, made of expensive materials and decorated with embroidery. 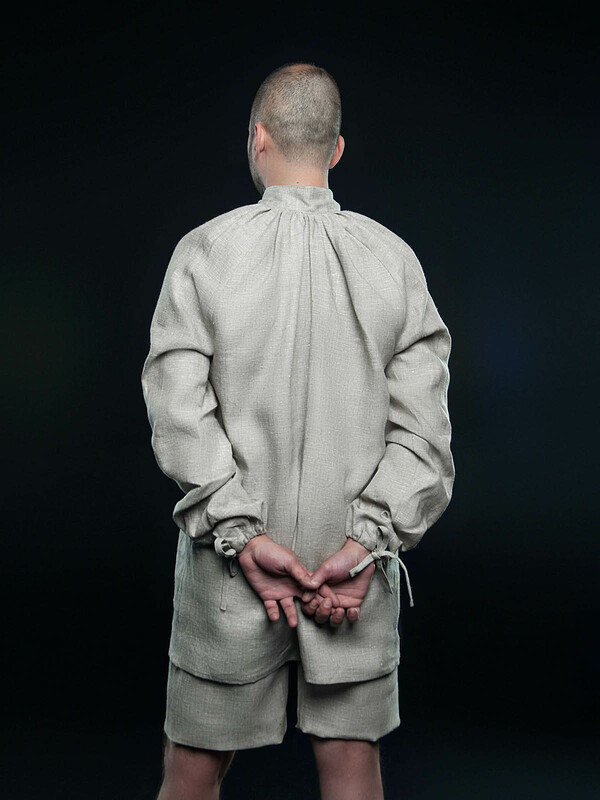 Together with chemise and braies, cale will create a perfect set of men's medieval underwear. We sew it of white or natural coloured cotton or linen. If you wish other colour, please contact us at [email protected] Cale, braies are not included in the price. ..